When Inversus came out a little over a year ago, it would've been easy to take a look and think it's a little too simple to be entertaining. 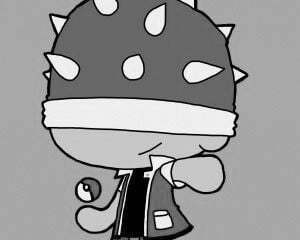 At first glance, it looks like a throwback to the very earliest video games, nothing but black and white boxes shooting dots at one another. There's a lot more than meets the eye here though, and it was one of our highest-rated games of 2016 for a reason. With Inversus Deluxe, there's even more to recommend. 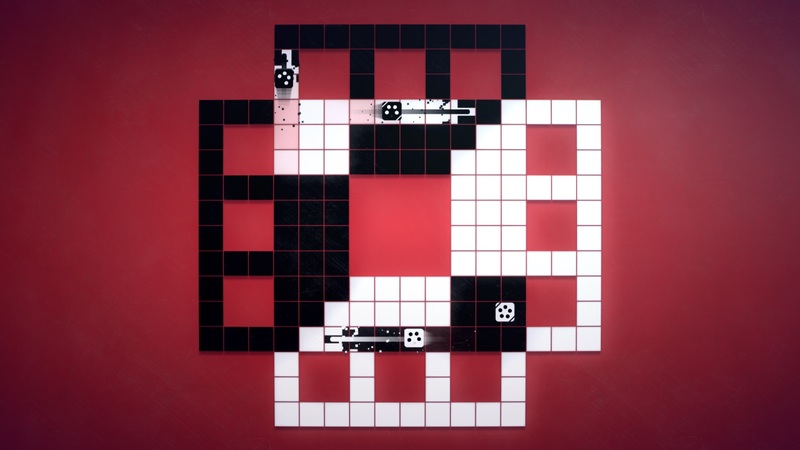 Inversus is described as a "negative space shooter" and it's harder to explain than it is to just play. You control a small square which can move in any direction and can fire up, down, left, or right, with each direction assigned to one of your buttons. Your shots will leave a trail behind, and you can move freely on area matching your shots' color. Paths you create act as walls for opposing players, and vice-versa. You can also charge up a shot to cover triple the area, but doing so will slow you down. You start with five shots, but have to manage how many you're using because they recharge slowly. There are cooperative and competitive multiplayer modes, as well as a single-player arcade mode where the challenge is to see how long you can survive and how big a score you can rack up. Competitive modes can support two teams of two players, or you can go one-on one and try to establish dominance. The game board is always shifting, so you'll never have the same experience twice. Trying it out with three friends is the ideal way to play, and my group especially enjoyed pairing off and blasting at one another. There's a lot of cat-and-mouse tactics, hunters becoming hunted, lone survivors pulling off surprising reversals, all the fun stuff an arena game can offer. Blocking shots and attacking from surprising angles helps, but sometimes a lucky shot can be more effective than a smart one. As Chris wrote in his review, the strategic possibilities are near endless. Matches don't last very long, and the best-of-five format means you can get a round in during a standard commercial break, if you're so inclined. Local multiplayer is preferable, but you can also jump online with up to three other players, or grab a friend and go head to head against another team of two. In a move I wish other games would steal, you can play the single-player version while you're waiting for a multiplayer game to start. If you're playing by yourself, there are ten arcade maps to master with online leaderboards, and you're always a split second from death once the enemies start closing in on you. You can also play the arcade mode cooperatively, sharing a pool of lives as you both fight for survival. 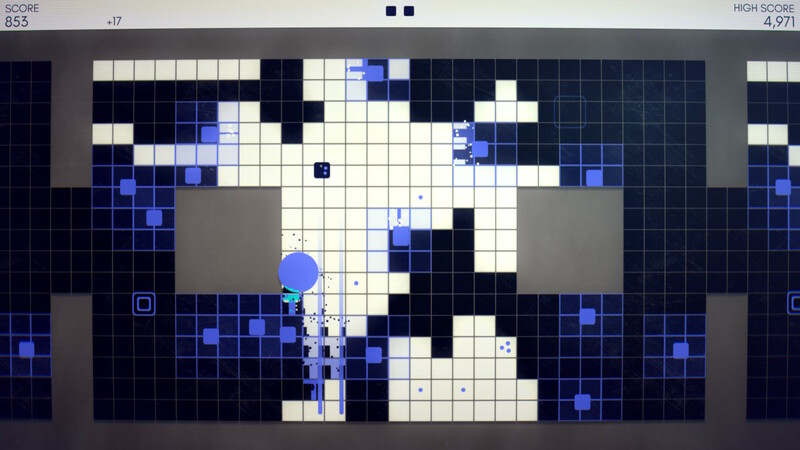 Inversus borrows some ideas from the classic arcade games of yore, but the gameplay feels modern and compelling. The tunnels in some stages are straight out of Pac-Man. Every shot makes a sound borrowed from Space Invaders, and there's a smooth techno beat constantly thumping away in the background. The Switch version also makes good use of HD rumble, giving a massive combo in arcade mode a little extra oomph. Inversus Deluxe works great as a party game, a cooperative shooter and a single-player score attack. Rounds are short enough you can fit in a few whenever you get a chance to play. There's lots to do no matter what version you get, but I enjoyed being able to take it on the go. As it stands, the Switch has the only portable version, but Xbox players will find a lot to like here too. Give it a chance and you'll find it's not nearly as simple as it presents itself.